As gas faces a reputational challenge from Ukraine, electric heat pumps are emerging as a promising alternative source of heating. Heat pumps can also make an important contribution to reducing greenhouse gas emissions. Oddly enough, although heating and cooling accounts for 45% of the EU’s final energy consumption there is no EU-wide heating and cooling strategy. Some countries such as UK and Italy are introducing support for individual technologies such as heat pumps, however. 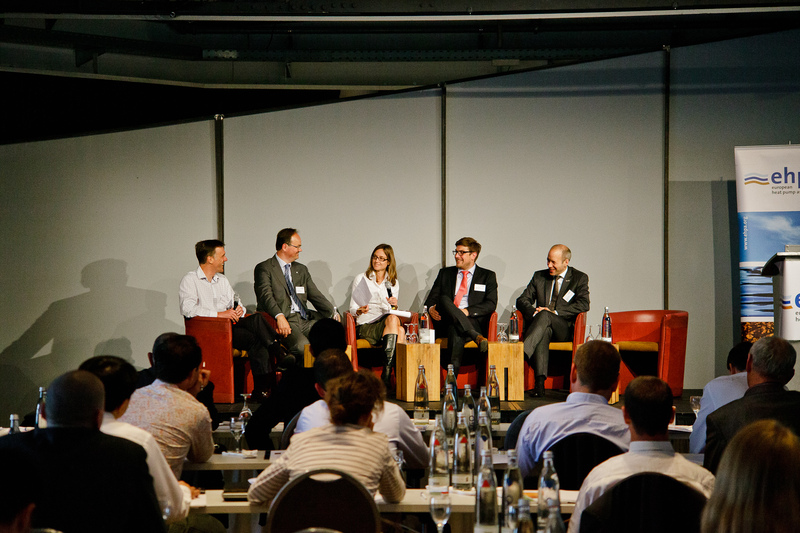 Sonja van Renssen reports from the 7th European Heat Pump Forum in Berlin. The heating and cooling sector in Brussels has long called for an EU-wide heating and cooling strategy. 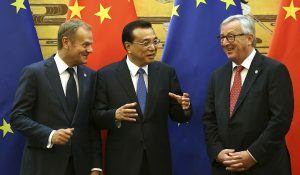 It has yet to materialise, despite being promised by Marie Donnelly, Director in charge of energy efficiency at the European Commission, at last year’s European Heat Pump Forum in Brussels in May. Instead, industry representatives say they have been asked by the Commission to provide more data on issues such as jobs, presumably to strengthen their case for policymaker attention. 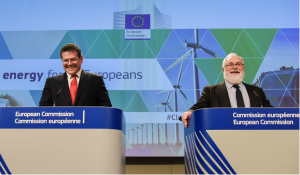 “Heating and cooling remains largely neglected by EU policies despite representing over 45% of the final energy consumption of the EU compared to 20% for electricity,” complained the Brussels-based “Heat Coalition” earlier this year. This coalition brings together groups representing interests from biomass, waste-to-energy plants and cogeneration to end-use efficiency, solar thermal, district heating and cooling, social housing and of course heat pumps (see Box at the end for a definition). The Ukraine crisis may prove a blessing for heat pumps because it has catapulted energy efficiency back up the political agenda. Heat pumps contribute towards the EU’s targets on energy efficiency as well as renewables and through both, to European security of supply. (Most of the Russian gas that Europe imports is destined for heating.) The next big opportunity for heat pumps – and heating and cooling more generally – is the Commission’s upcoming review and new proposals for EU energy efficiency policy. 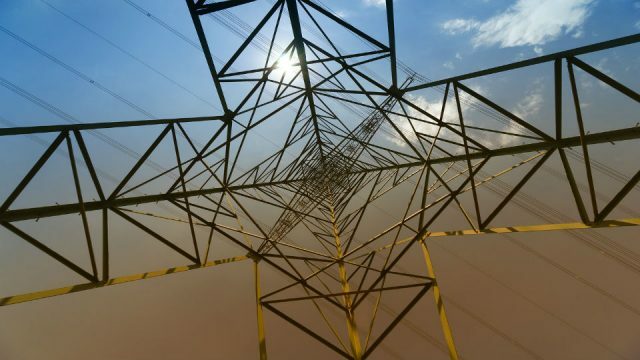 Energy commissioner Günther Oettinger announced the review for July and proposals for September when he unveiled a new European Energy Security Strategy at the end of May. A more efficient and renewables-based heating and cooling system in Europe is also essential to meet greenhouse gas emission reduction targets, argued Professor Dr Hans-Martin Henning from the Fraunhofer Institute in Freiburg, Germany, at the 7th European Heat Pump Forum, which took place in Berlin on 20 May. The biggest CO2 emission cuts from now to 2030 will have to come from heating and cooling, he said. This will require both cutting back on demand for space heating/cooling (e.g. through more efficient buildings) and decarbonising heating. The latter can be done by replacing gas heating with electric heat pumps, provided the electricity is “green”. The logic is that heat pumps can be turned on at off-peak hours and store the heat that they generate to be disseminated when needed. In this way, heat pump advocates say, heat pumps can make a contribution to demand response programs. They can act as a bridge between the electricity and heating systems. “Energy suppliers know all about the grid and how much electricity customers use, but they do not know about the thermal capacity of a house,” said Klaus Kattenhøj from Grundfos, a supplier of pumps for heating and other purposes. “If you want to do load balancing, you have to look at the thermal capacity of a house.” He has been involved in a Danish project monitoring 300 heat pumps for 4 years that has demonstrated their potential to soak up around 80% of wind power peaks. Similar symbiotic relationships can be imagined with solar PV, aided by energy management systems. By 2016, ground source and air source heat pumps will need less primary energy than a fuel cell with 50% electrical efficiency, he added. 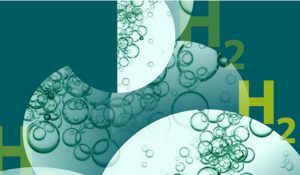 Fuel cells are a competitor to heat pumps. Fuel cell units that convert gas into hydrogen can also be used by households to produce heat (as well as electricity). Heat pumps look to benefit from a new EU energy labelling system that classifies them as superior to gas boilers in terms of efficiency. Finalised last year, the new system introduces a single label for all heaters, with only heat pumps able to qualify for the top A++ rating. The new system will apply from 2015. 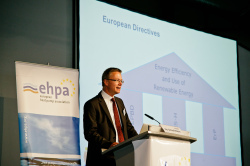 “We’re fine with technology neutrality because we’re the most efficient,” Thomas Nowak, Secretary General of the European Heat Pump Association (EHPA) claims. If heat pumps are so wonderful, what is preventing them from conquering the market? Cost is an obvious factor. Heat pumps require a substantial investment from a household. They cannot be made competitive as long as fossil energy is not “adequately priced”, say the advocates of heat pumps – unless of course they are supported by government action. This is exactly what some member states are realising and two of them – the UK and Italy have taken action to the direct benefit of heat pumps. The UK has extended a subsidy scheme for “renewable heat” from industry to households, while Italy is introducing a special low electricity tariff for heat pumps. Most of the UK’s heat demand today is met by gas boilers. The UK government sees an opportunity for heat pumps mainly in rural areas off the gas grid (today using oil), possibly followed by hybrid systems in suburban areas. The extension of its renewable heat incentive in April 2014 therefore subsidises heat pumps used in rural, single households (with 7.3p/kWh (9c€/kWh) for air-water heat pumps and 18.8p/kWh (23c€/kWh) for ground- and water-source heat pumps). The UK also has a Microgeneration Certification Scheme to improve heat pump performance through better installation guidance and system design, and more experienced installers. In Italy meanwhile, already one of Europe’s biggest markets for heat pumps, the government is introducing a new electricity tariff for households that use heat pumps as their primary source of heating. Heat pumps in Italy have been held back by “progressive” electricity tariffs based on the assumption that those who consume a lot are rich and those who consume little poor. But from 1 July, heat pump households will pay a flat rate of 21-23c€/kWh (versus 30-32c€/kWh today). This brings the operating costs of the heat pump down to approaching half that of a gas boiler. The experiment runs until December 2015. 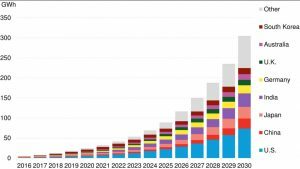 Based on the EU member states’ national renewable energy action plans (NREAPs), drawn up to show how they will get the EU to its 20% renewables by 2020 target, heat pumps should represent some 12 million tonnes of oil equivalent (mtoe) out of 250 mtoe of renewables in Europe in 2020. According to the EHPA, sales of heat pumps grew at an average 7.8% per year from 2005-13, with 2% growth last year. The biggest markets today are Italy, France and Sweden. According to the European Commission, Europe is ahead of its NREAP targets on heat pumps, though “if you look how they will be met without special dedication to the technology and very moderate calculating methods, then one can argue there’s still lots of potential”, said Øyvind Vessia, energy policy officer at the Commission at the Forum in Berlin. The EHPA finds the Commission’s calculations of deployment to date more optimistic than its own. Meanwhile, new products are emerging, such as sanitary hot water heat pumps. There is also tremendous potential for industrial heat pumps, which can provide both space and process heat in industries such as food, paper and pulp, and chemicals, says Dr Markus Blesl from the University of Stuttgart, who has written a book on industrial energy efficiency (in German). Industrial heat pumps working up to 100 degrees are already on the market with a 2-7 year payback time, Blesl said. Germany has 18 industrial heat pumps in action. They will only get more attractive as efficiency across the whole sector brings down process temperatures, Blesl predicts. With EU energy efficiency policy under review, pressure from the Ukraine crisis, and member states preparing to draw up national energy action plans foreseen in the Commission’s 2030 proposals, heat pumps seems ready for a breakthrough. 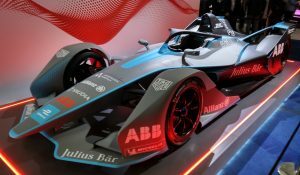 “Production costs could be halved if sales tripled,” believes Schiefelbein. But selling more heat pumps means getting flexible electricity tariffs in place so that they can benefit from off-peak electricity prices, he adds. A heat pump is a device that takes heat from the air, ground or water and uses it to heat or cool a space, or to provide sanitary hot water. This can be in households, commerce, industry, and even at city-scale. The pump works by compressing and letting expand a refrigerant fluid trapped in a closed circuit. A heat pump is very efficient: 1kWh of electricity can provide 4kWh of heat (that’s a 300% efficiency compared to 90-96% for condensing gas boilers and 70-80% for conventional boilers). Three-quarters of the energy needed for a heat pump to do its job is ambient energy – i.e. drawn from the ground, air or water – but the final quarter is electricity. The pump needs electricity to drive the compressor at its core. Heat pumps save on primary and final energy use – and therefore energy bills – plus CO2: an estimated 9 million tonnes of CO2 in the EU each year. Most heat pumps used in Europe are made in Europe with over 40,000 direct employees in the sector. they require the building they are installed in to have a good energy performance i.e. high thermal inertia. moving space heating for the gas network to the elec network predicates some form of remote control over the pumps – otherwise large-scale network build out is need. 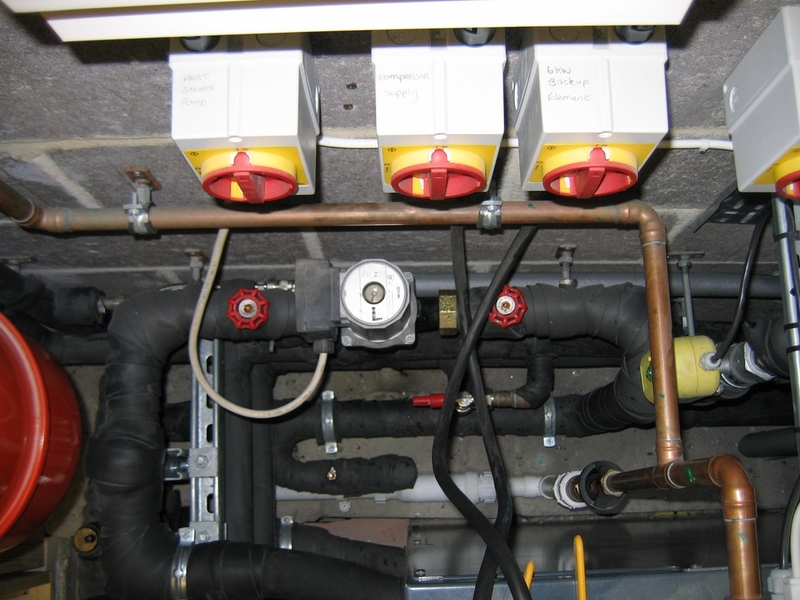 ADMDs for the residential sector are around 1.5kW – even small heat pumps will blow this. A quick fix to this problem is remote control – which one project in NL has already implemented. I also agree with a key point in the article – HPs are wonderful buffers to RES. I’m surprised that heat pumps didn’t become the main source of heat a long time a go. I’ve had once for years and it far surpasses any other form of heat in both cost and effectiveness.